Shape dough into 36 (1-inch) balls; roll in sugar. Place 2 inches apart on ungreased cookie sheets. Bake 8 to 10 minutes or until light golden brown. 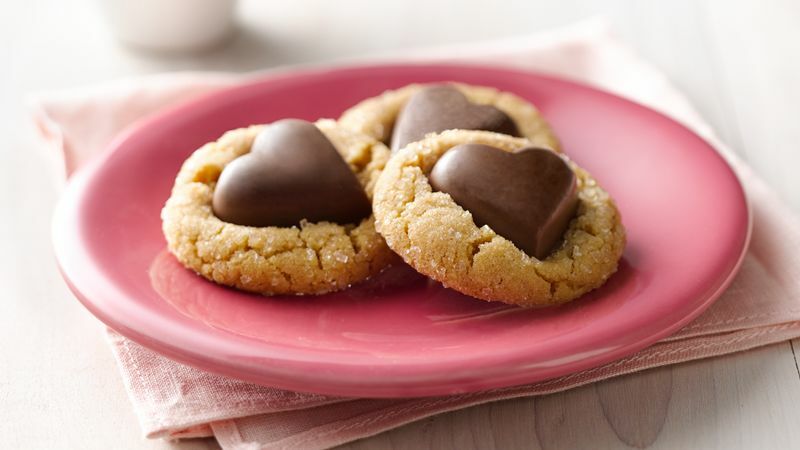 Immediately press chocolate candy into top of each cookie. Remove from cookie sheets to cooling racks. Cool completely, about 20 minutes, before storing in tightly covered container. For even baking, make sure cookies are the same size.